SOUTHLAKE, Texas, July 1, 2015 – Sabre Corporation (NASDAQ: SABR) today announced that it has completed the acquisition of Abacus International, the leading global distribution system (GDS) in the Asia-Pacific region. Abacus serves more than 100,000 travel agents across the Asia-Pacific region’s 59 markets and has both global and uniquely local relationships with airlines and hotels, including the leading portfolio of low-cost airline content and Chinese airline content. Sabre management will update financial guidance as it relates to the Abacus acquisition during the company’s next earnings conference call, which is scheduled for Tuesday, August 4, 2015. Sabre Corporation is a leading technology provider to the global travel and tourism industry. Sabre’s software, data, mobile and distribution solutions are used by hundreds of airlines and thousands of hotels to manage vital operations, such as passenger and guest reservations, revenue management, and flight, network and crew management. 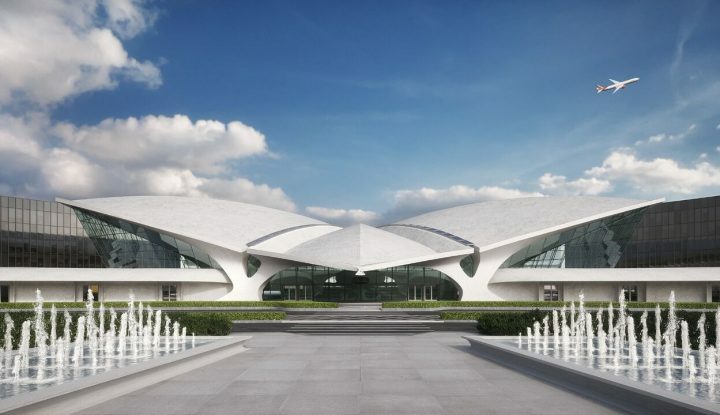 Sabre also operates the world’s leading travel marketplace, processing more than $110 billion of annual travel spend. Headquartered in Southlake, Texas, USA, Sabre operates in approximately 60 countries around the world. Certain statements in this release are forward-looking statements about trends, future events, uncertainties and our plans and expectations of what may happen in the future. Any statements that are not historical or current facts are forward-looking statements. In many cases, you can identify forward-looking statements by terms such as “will,” “expect,” “would,” “estimates,” “may,” “potential” or the negative of these terms or other comparable terminology. Forward-looking statements involve known and unknown risks, uncertainties and other factors that may cause Sabre’s actual results, performance or achievements to be materially different from any future results, performances or achievements expressed or implied by the forward-looking statements. The potential risks and uncertainties include, among others, the closing and effects of the acquisition described in this release, dependency on transaction volumes in the global travel industry, particularly air travel transaction volumes, adverse global and regional economic and political conditions, dependence on maintaining and renewing contracts with customers and other counterparties, exposure to pricing pressure in the Travel Network business, dependence on relationships with travel buyers, changes affecting travel supplier customers, travel suppliers’ usage of alternative distribution models, and competition in the travel distribution market and solutions markets. More information about potential risks and uncertainties that could affect our business and results of operations is included in Part I, Item 1A, “Risk Factors” in Sabre’s Annual Report on Form 10-K for the year ended December 31, 2014 filed with the Securities and Exchange Commission. Although we believe that the expectations reflected in the forward-looking statements are reasonable, we cannot guarantee future events, results, actions, levels of activity, performance or achievements. Readers are cautioned not to place undue reliance on these forward-looking statements. Unless required by law, Sabre undertakes no obligation to publicly update or revise any forward-looking statements to reflect circumstances or events after the date they are made. Leading GDS in Asia Pacific will enable accelerated global growth for Sabre SOUTHLAKE, Texas, July 1, 2015 – Sabre Corporation (NASDAQ: SABR) today announced that it has completed the acquisition of Abacus International, the leading global distribution system (GDS) in the Asia-Pacific region. “The addition of Abacus further strengthens Sabre’s leading position in the fast-growing Asia-Pacific region,” said Sabre President & CEO Tom Klein. “Our ability to combine Sabre’s strong global technology platform capabilities with Abacus’ deep local market expertise will provide Asia-Pacific airline, hospitality and travel agency customers with unprecedented innovation and service options. It also makes us an ideal technology partner for global customers seeking to grow and expand in Asia-Pacific.” Abacus serves more than 100,000 travel agents across the Asia-Pacific region’s 59 markets and has both global and uniquely local relationships with airlines and hotels, including the leading portfolio of low-cost airline content and Chinese airline content. Sabre, which previously owned 35% of Abacus, acquired the remaining portion for net cash consideration of $411 million. Separately, the acquisition includes new long-term distribution agreements between Sabre and the 11 Asian airlines that previously shared ownership of Abacus with Sabre. The acquisition, including associated working capital adjustments and cash acquired, was financed through cash on hand, augmented by revolver borrowings of $70 million. 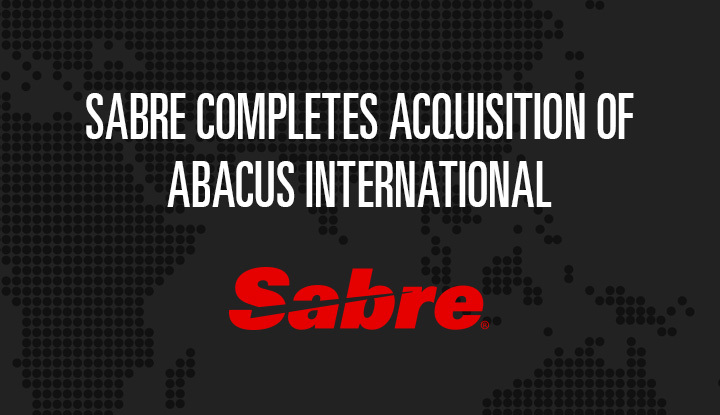 Sabre has also signed an agreement to acquire Abacus national marketing company, Abacus Distribution Systems (Hong Kong). Sabre management will update financial guidance as it relates to the Abacus acquisition during the company’s next earnings conference call, which is scheduled for Tuesday, August 4, 2015. ### About the Company Sabre Corporation is a leading technology provider to the global travel and tourism industry. Sabre’s software, data, mobile and distribution solutions are used by hundreds of airlines and thousands of hotels to manage vital operations, such as passenger and guest reservations, revenue management, and flight, network and crew management. Sabre also operates the world’s leading travel marketplace, processing more than $110 billion of annual travel spend. Headquartered in Southlake, Texas, USA, Sabre operates in approximately 60 countries around the world. Website Information We routinely post important information for investors on our website, www.sabre.com, in the Investor Relations section. We intend to use this website as a means of disclosing material, non-public information and for complying with our disclosure obligations under Regulation FD. Accordingly, investors should monitor the Investor Relations section of our website, in addition to following our press releases, SEC filings, public conference calls, presentations and webcasts. The information contained on, or that may be accessed through, our website is not incorporated by reference into, and is not a part of, this document. Forward-looking statements Certain statements in this release are forward-looking statements about trends, future events, uncertainties and our plans and expectations of what may happen in the future. Any statements that are not historical or current facts are forward-looking statements. In many cases, you can identify forward-looking statements by terms such as “will,” “expect,” “would,” “estimates,” “may,” “potential” or the negative of these terms or other comparable terminology. Forward-looking statements involve known and unknown risks, uncertainties and other factors that may cause Sabre’s actual results, performance or achievements to be materially different from any future results, performances or achievements expressed or implied by the forward-looking statements. The potential risks and uncertainties include, among others, the closing and effects of the acquisition described in this release, dependency on transaction volumes in the global travel industry, particularly air travel transaction volumes, adverse global and regional economic and political conditions, dependence on maintaining and renewing contracts with customers and other counterparties, exposure to pricing pressure in the Travel Network business, dependence on relationships with travel buyers, changes affecting travel supplier customers, travel suppliers’ usage of alternative distribution models, and competition in the travel distribution market and solutions markets. More information about potential risks and uncertainties that could affect our business and results of operations is included in Part I, Item 1A, “Risk Factors” in Sabre’s Annual Report on Form 10-K for the year ended December 31, 2014 filed with the Securities and Exchange Commission. Although we believe that the expectations reflected in the forward-looking statements are reasonable, we cannot guarantee future events, results, actions, levels of activity, performance or achievements. Readers are cautioned not to place undue reliance on these forward-looking statements. Unless required by law, Sabre undertakes no obligation to publicly update or revise any forward-looking statements to reflect circumstances or events after the date they are made.